OLD PARKED CARS. 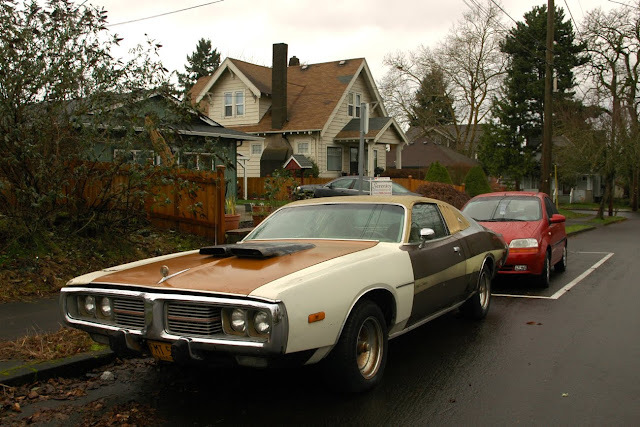 : 1973 Dodge Charger SE. Congrats. 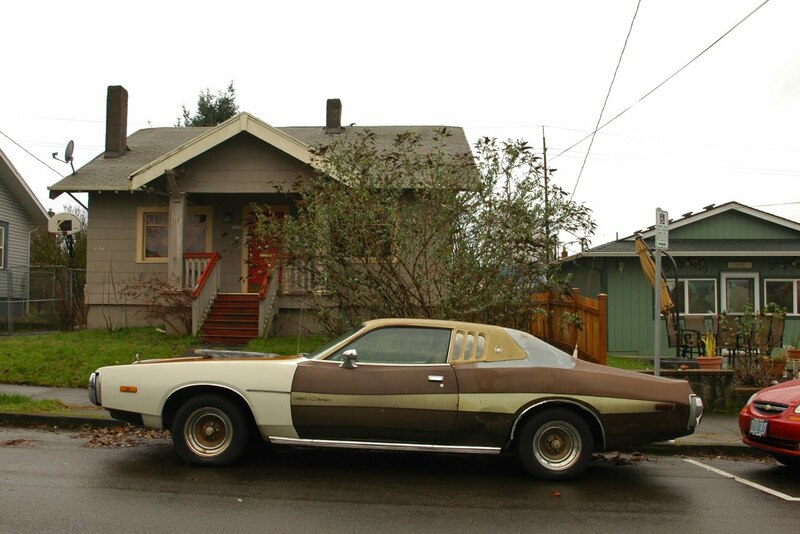 You've found one of Chrysler's short-lived calico factory color combinations. Quite rare. I miss the straight-up Facebook Like button. During my 1970s kidhood every last one of these was rusting from the bottom up. Well, this is a pretty cool car. I love the way you've captured the conglomeration of original & replacement parts. I really like the original color and those original decals. This is awesome. The Smashing Pumpkins used this model Charger in their video for the song 1979. I remember being a kid just lusting for the car in the video. 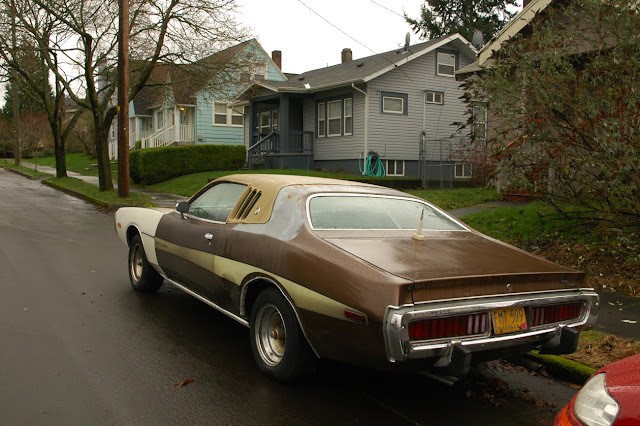 I loved how it was not traditionally beautiful, it was that kinda funky uglyness that was common on Mopars of the 1970's but it was somehow so appealing to me. 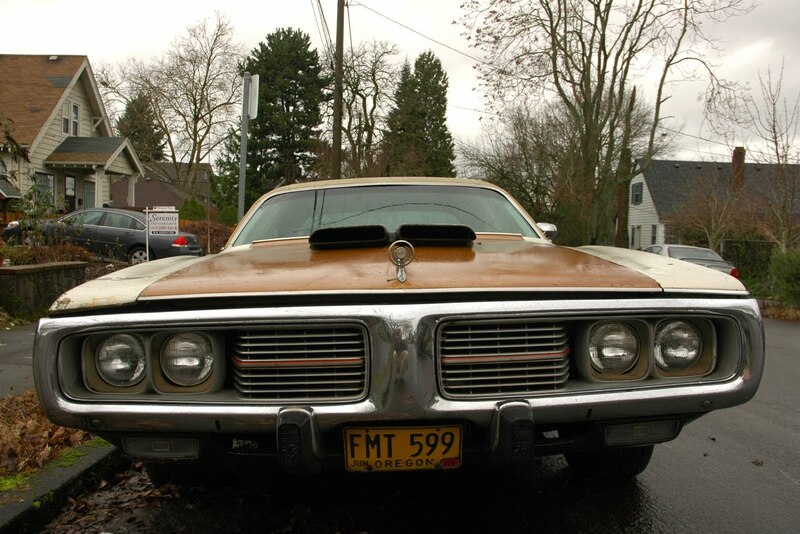 I like that triple opera window and the mismatching body panels give it a rustic look. I love the tape stripe option that followed the coke bottle lines of the car. 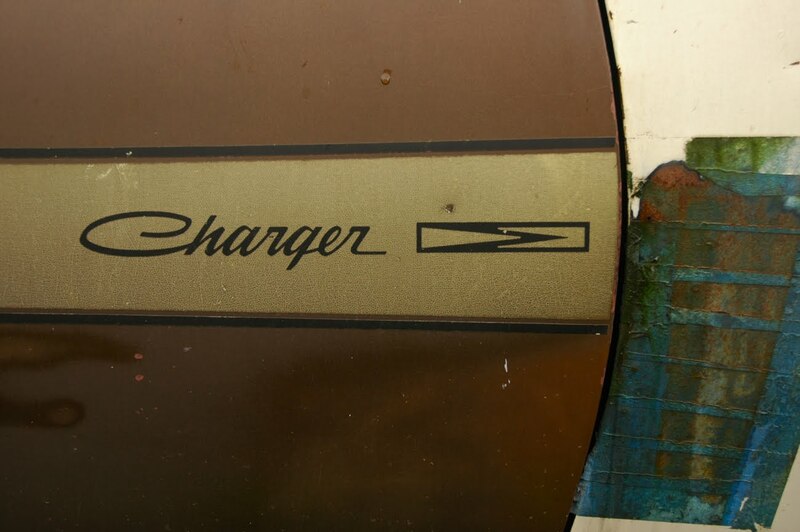 I always found it kinda weird that this generation charger started off as a muscle car and ended up a personal luxury car 1973 being the transition year. It looks like it has a CB in it too, it has the antenna. How many times is the layout going to change lol. I'd totally drive that. Sinister as hell. Its too much, you guys kill me. .."triple opera windows", double air scoops AND badge. I can only imagine his CB handle. 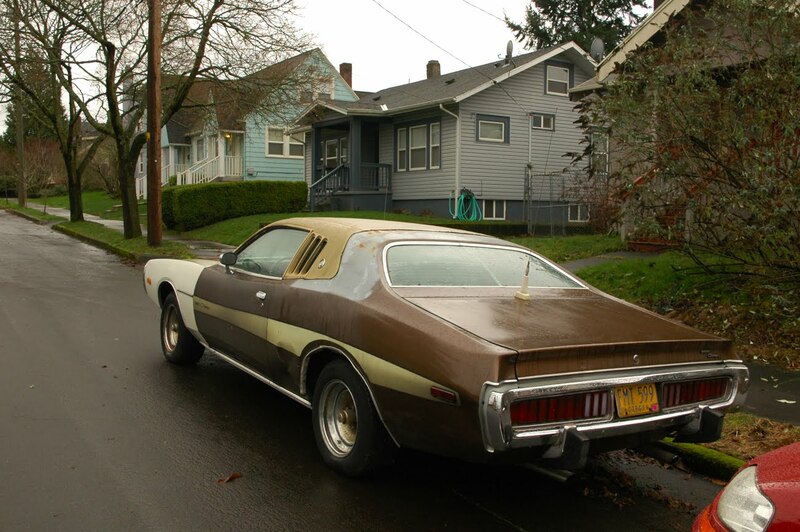 I owned a 1973 Dodge Charger SE. It was the car I lost my virginity in! It was white, with a white vinyl roof, white leather interior, and WIDE white wall tires! My mother called it my pimp-mobile.